Phase #1: How to represent woods in 6mm? 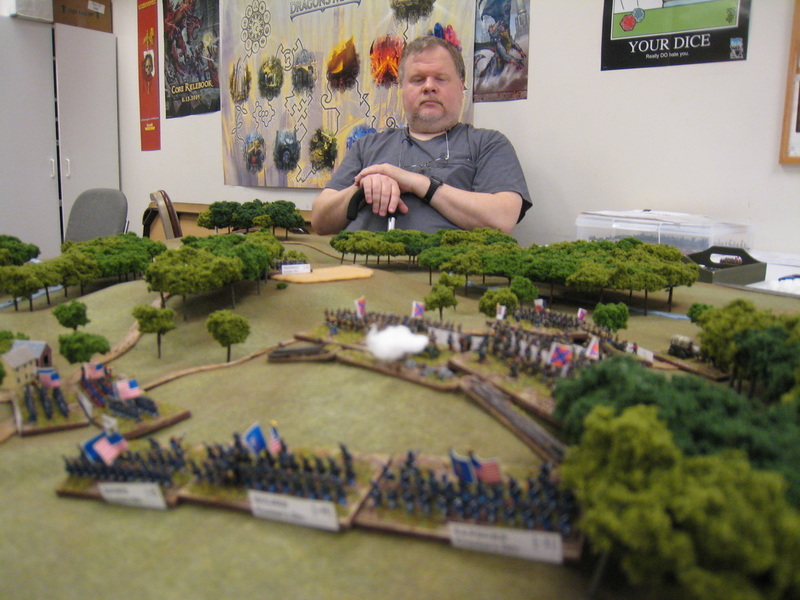 Nothing makes a bigger impression on a 6mm battlefield than forests. I’ve seen people try to model woods in lots of different ways. 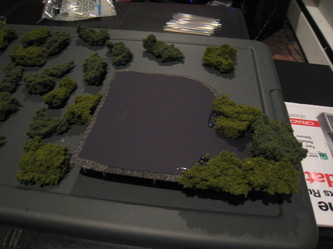 Usually, they just scatter a handful of trees around the table, maybe using felt to show the “boundary” of the forest areas. 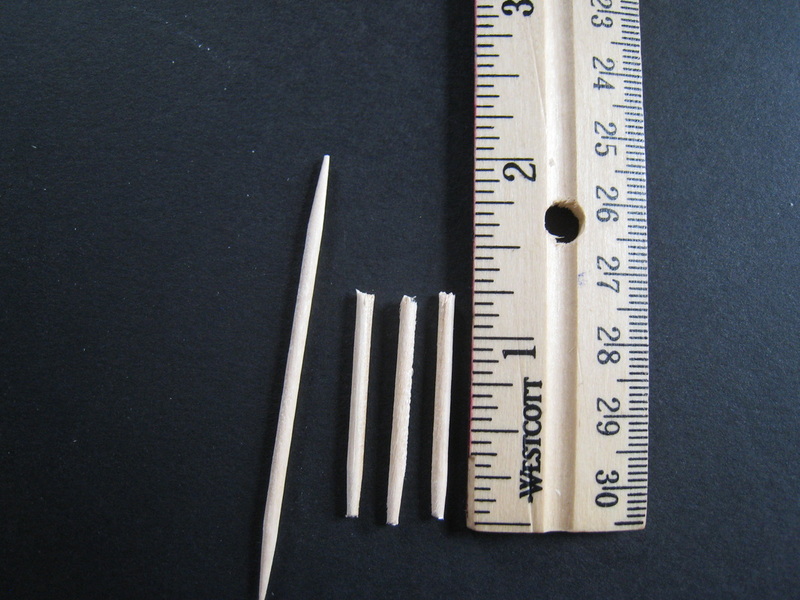 Let’s face it–that doesn’t look convincing in 6mm scale. Have you looked out the window of plane, flying over the countryside? 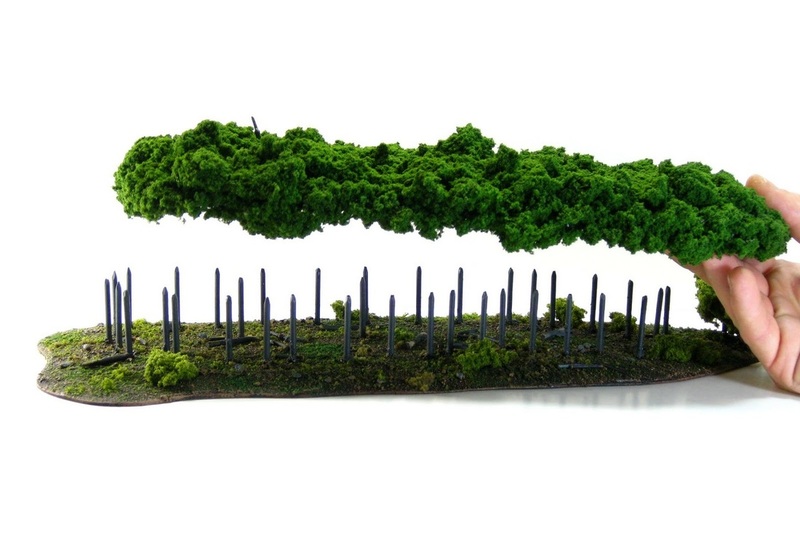 You don’t see individual trees, you see sprawling canopies of solid treetops. My method for creating 6mm forests is not uniquely mine. I stole the basic concept from a game I saw at Historicon in 2009, but put my own twist on it. The final result looks great, but does require some effort. 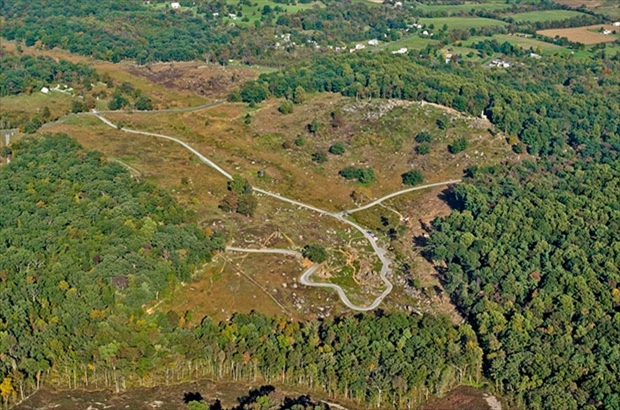 How do we achieve this overhead view to reflect the way forests actually appear from high above? Begin with a sheet of black foam-core. 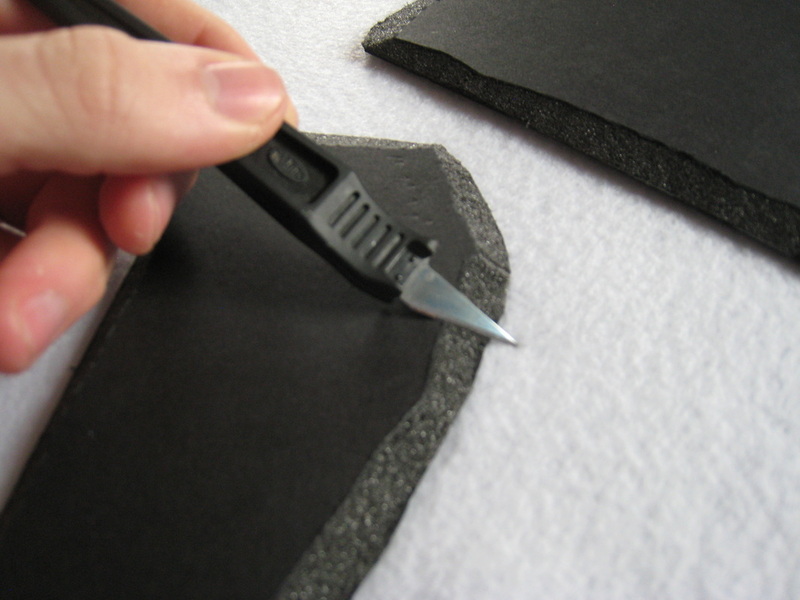 If you opt to use the standard white foam-core, I suggest painting it black or brown before starting. You’ll understand why at the end. Trace the outline of your desired canopy on the foam-core and cut it out with a hobby knife. If you’re trying this method for the first time, start with a smaller shape. 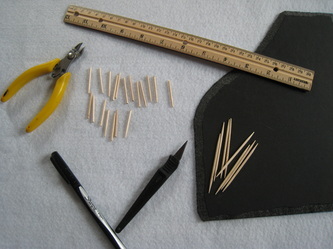 Then, use your sharpest hobby knife to angle or slope the outer edges. 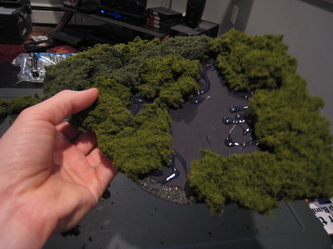 When I first saw another gamer using this method in 2009, he attached his tree trunks to a MDF base. 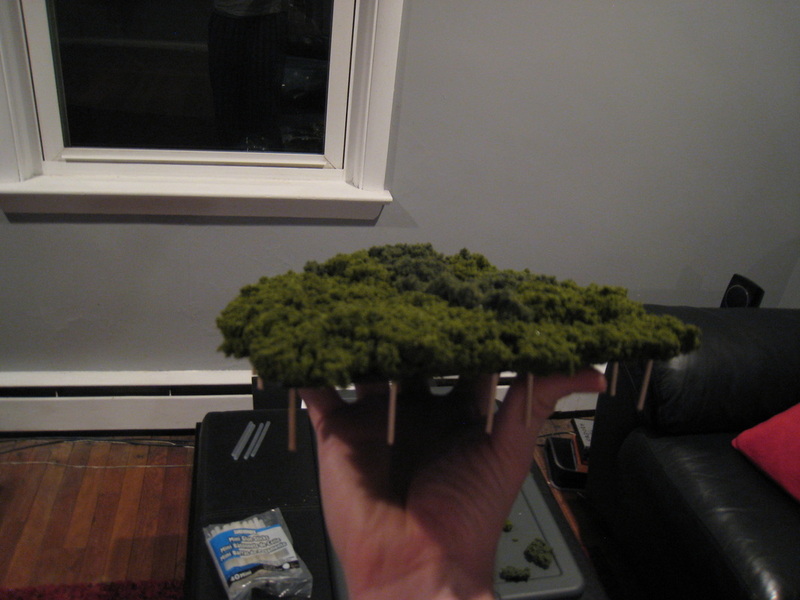 Then he laid the canopy sections on top of the base, so the treetops were removable and miniatures could be placed under the woods. My own innovation is to ignore the bases. It’s just more work. 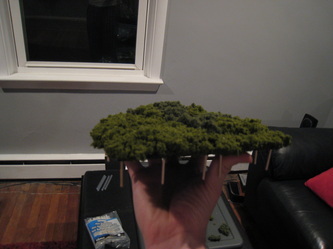 Instead of creating bases with tree trunks sticking out, I simply stick the trunks into the canopy itself. 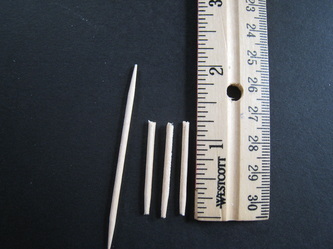 Using round toothpicks, I cut my trunks to 1.25″ in height–the lowest possible height for my 6mm troops to fit underneath. You could use a different height. 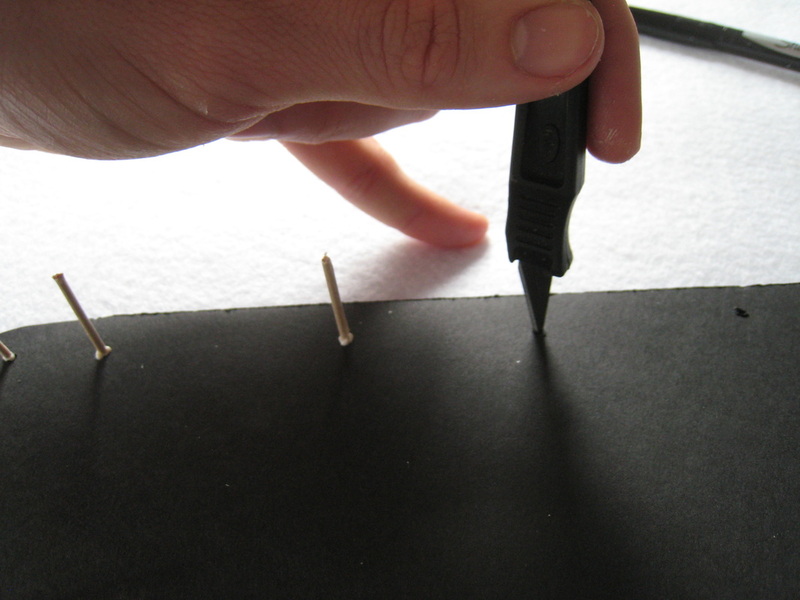 Then, I stab the trunks into the underneath side of the foam core, gluing them in place. 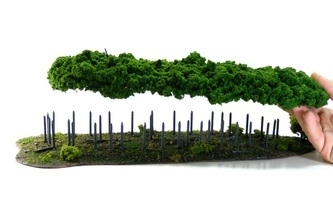 This is the hardest, most time-consuming step in the process–attaching clump foliage to the top of the canopy. I’ve tried many different methods to stick the foliage on, but the most durable result came with the tedious use of a hot glue gun. After your tree trunks are dry, start tearing up pieces of large clump foliage (I buy bags of this stuff from Woodland Scenics). The clump foliage isn’t cheap–right now it’s about $8 per bag. 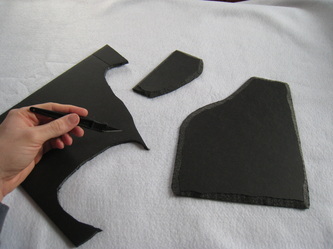 After tearing up lots of thin pieces, glue them on the foam-core canopy a few pieces at a time. The hot glue dries very quickly, so work in small steps. 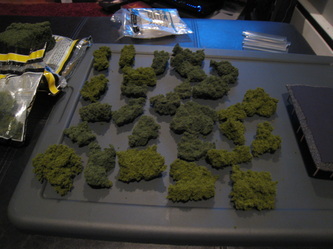 This is sort of like assembling a puzzle, fitting the clump foliage one piece at a time. Gaps and holes are easily filled by tearing new pieces sized to fit. Once you’ve practiced, the whole process does go faster, but I won’t pretend this is easy business. Painting the tree trunks is a quick job. I paint mine a very dark shade of brown, dry-brushed with mid-tone gray. If you actually look at trees from a distance, the wood is usually more gray than brown. Finally, I spray the top of the canopy with a clear, matte finish sealer to harden the clump foliage and make it more durable for transportation and gamer-handling. You don’t want any of that foliage coming off later, so a good seal coat works well. You can also spray watered-down craft glue in several applications, using a basic spray bottle from a home improvement or craft store. This method is cheaper than buying the professional sealer. At least one player is admiring acres and acres of forest canopies!